ICICI bank admitted that Chanda Kochhar did not recuse herself from a credit committee meeting which decided to grant the loan to the Videocon group in 2012. The Securities and Exchange Board of India (Sebi) has issued notice to ICICI Bank and MD and CEO Chanda Kochhar for alleged non-compliance of the listing agreement in the Videocon case which relates to dealings involving the Videocon group and NuPower Renewables, an entity in which Deepak Kochhar, spouse of the bank’s MD and CEO, has economic interests. “The MD & CEO and the Bank received a notice from Sebi on May 24, 2018 requiring responses on matters relating to alleged non-compliance with certain provisions of the erstwhile Listing Agreement and the Securities and Exchange Board of India (Listing Obligations and Disclosure Requirements) Regulations, 2015,” ICICI Bank said in a stock exchange filing. “Appropriate responses would be submitted to Sebi in accordance with the regulation,” it said. The notice, it acknowledged, had been issued “based on information furnished by the Bank/its MD & CEO to diverse queries made by Sebi concerning dealings between the Bank and Videocon group and certain dealings allegedly between Videocon group and NuPower, an entity in which Mr Deepak Kochhar, spouse of MD & CEO, has economic interests”. 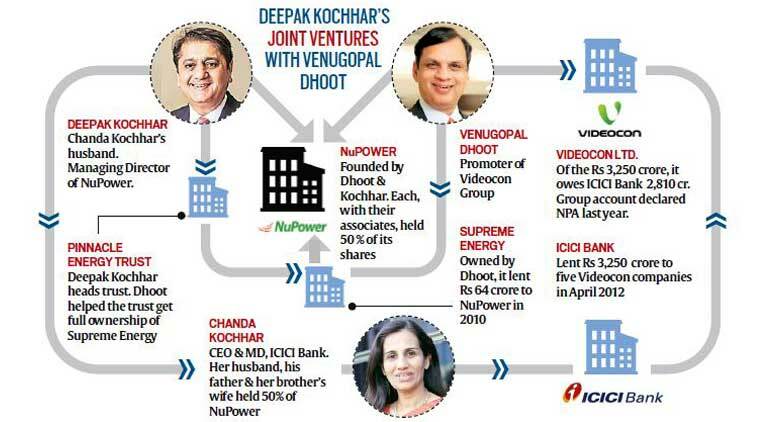 As first reported by The Indian Express, Videocon group promoter Venugopal Dhoot provided crores of rupees to NuPower Renewables Pvt Ltd (NRPL), a firm he had set up with Deepak Kochhar and two relatives six months after the Videocon group got Rs 3,250 crore as loan from ICICI Bank in 2012. He transferred proprietorship of the company to a trust owned by Deepak Kochhar for Rs 9 lakh, six months after he received the loan from ICICI Bank. Almost 86 per cent of the Rs 3,250 crore loan (Rs 2,810 crore) remained unpaid. The Videocon account was declared an NPA in 2017. The bank admitted that Chanda Kochhar did not recuse herself from a credit committee meeting which decided to grant the loan to the Videocon group in 2012. In April, M K Sharma, the bank’s chairman, had said the bank had satisfactorily replied to all the questions of the regulators. The CBI initiated a preliminary enquiry into the matter to check any wrongdoing, while other agencies, including the Enforcement Directorate, also opened investigations. 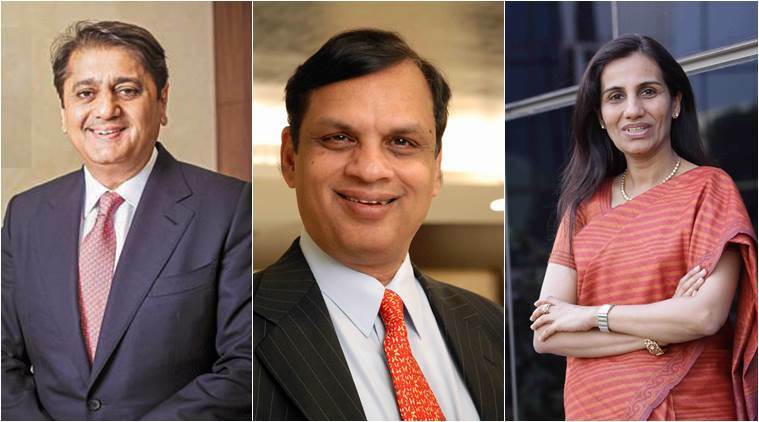 The bank’s board stood firmly behind Chanda Kochhar, saying no wrong was committed by the MD and CEO. It said the loan was underwritten in accordance with the bank’s credit standards and was extended as part of a consortium involving over 20 banks. “If, after considering the cause, if any, shown by such person, the adjudicating officer is of the opinion that an inquiry should be held, he shall issue a notice fixing a date for the appearance of that person either personally or through his lawyer or other authorised representative,” it states. On March 30 this year, in one of the heaviest monetary levies by a regulator on a bank for violation of regulations in recent years, the Reserve Bank of India (RBI) imposed a penalty of Rs 58.9 crore on ICICI Bank for violating the central bank’s guidelines governing treasury operations. The RBI then said the penalty was imposed for non-compliance with directions on direct sale of securities from its HTM (held-to-maturity) portfolio and its disclosure.